At Take Heart, you might want it all. Photo courtesy of Take Heart. If you're heading to Austin for SXSW this month, you might want to reconsider your regular SoCo routine. Up-and-coming East 11th District is the place to be in Austin — and not just for the authentic Texas BBQ. Though you'll get plenty of that, along with cool shops and great cocktails. AUSTIN – In all cities, there are areas where creative businesses and residents cluster, transforming neighborhoods into destinations, like Nolita in Manhattan or 3rd Street in Los Angeles. In Austin, Texas, visitors flock to SoCo (South Congress), where four lanes of traffic are flanked by retail, live music venues, hotels, ice cream shops, candy stores, and, of course, food trailers. But the scene is moving: Bigger is not always better. (I can’t believe that actually came out of my mouth, as a home-grown Texan, but it’s true.) 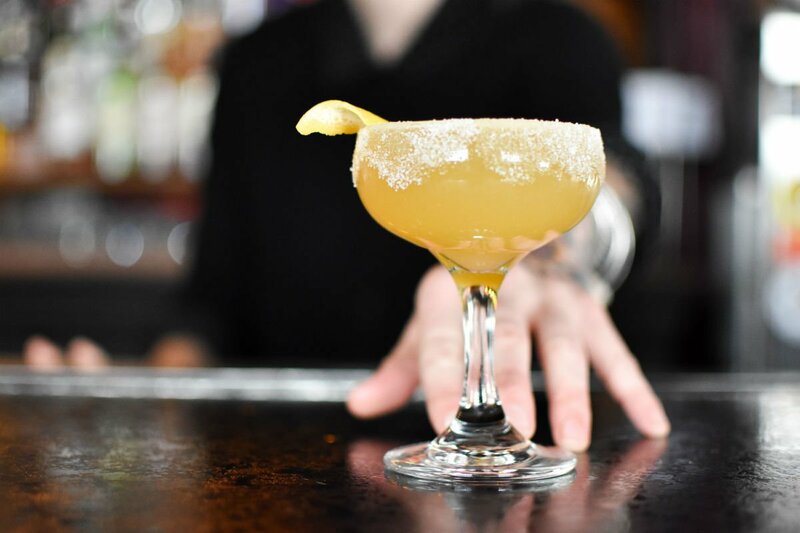 A wellspring of activity has been percolating along East 11th Street since was deemed the in the country by Bon Appetit in 2011. People (including Barak Obama) wait in line for hours to get a taste of Aaron Franklin’s meat. If they run out before you get to the counter, you are out of luck. 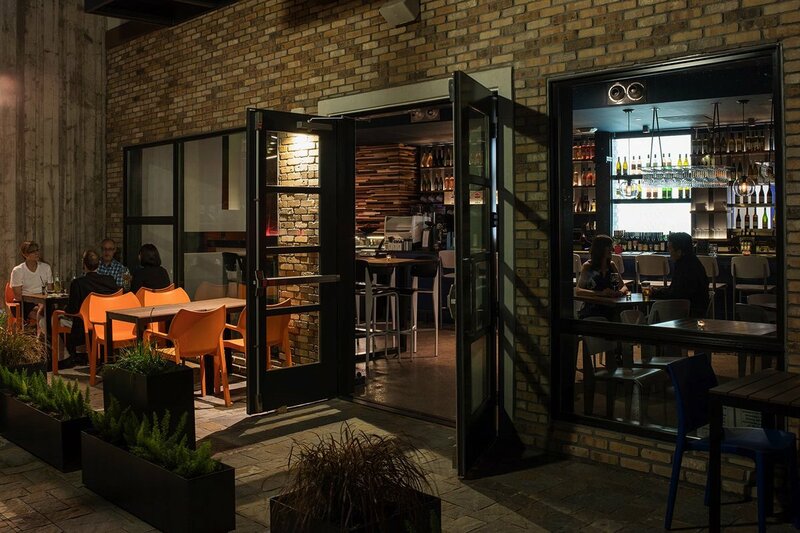 The ensuing BBQ mania helped sparked the area’s development (food is such a hot topic in Austin...) as did its prime location, so close to downtown, the capital, and the university. When Franklin opened in 2009, there weren’t many businesses on East 11th, though there were cultural institutions such as the , where fifteen signers of the Declaration of Independence are buried along with former governors, congressmen, and other legendary Texans. and newly opened also provide diverse explorations into the history of the region. A heaping plate of Franklin's famous meat. Photo courtesy of Franklin's BBQ. 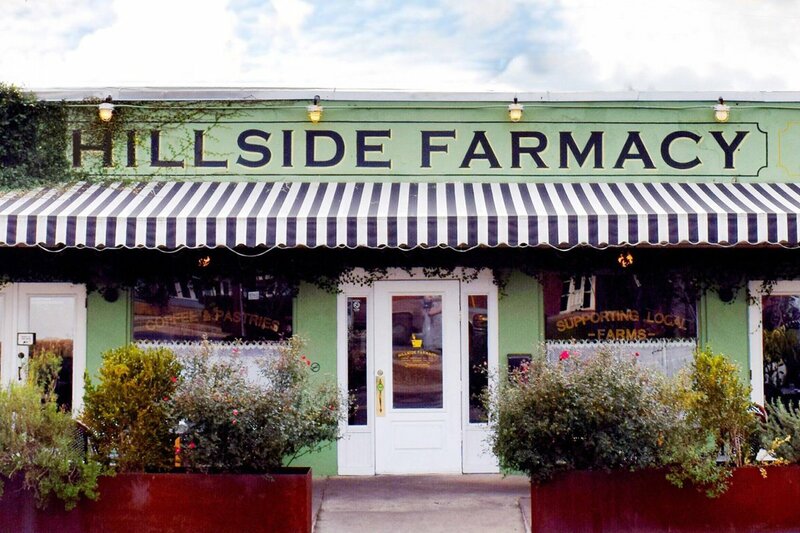 Hillside Farmacy is cute inside and out. Photo courtesy of Hillside Farmacy. The French bistro, is known for its tartines, which you’ll see at every table, but don’t miss the aromatic and bliss-inducing lemon and lavender hot tea. The eatery, which pre-dates Franklin by a few years, is an Austin institution and perhaps the anchor of soul for the neighborhood. Across the street and a few steps away is a modern twist on Chinese, where you’ll find brisket fried rice (with meat from ), rich red interiors and a sultry vibe that makes you want to linger for hours. Further down the road is , a former pharmacy that’s been converted into a restaurant. You’ll be torn between sitting outside in the Parisian atmosphere or soaking in the décor,with much of the space preserved from its past, including the white honeycomb floors. Hotel Eleven, emulating the vibe of East 11th District. Photo courtesy of Hotel Eleven. One of the fourteen cozy rooms at Hotel Eleven. Photo by Paul Bardagly / courtesy of Hotel Eleven. How’s your food coma coming along? Are you ready for a nap? 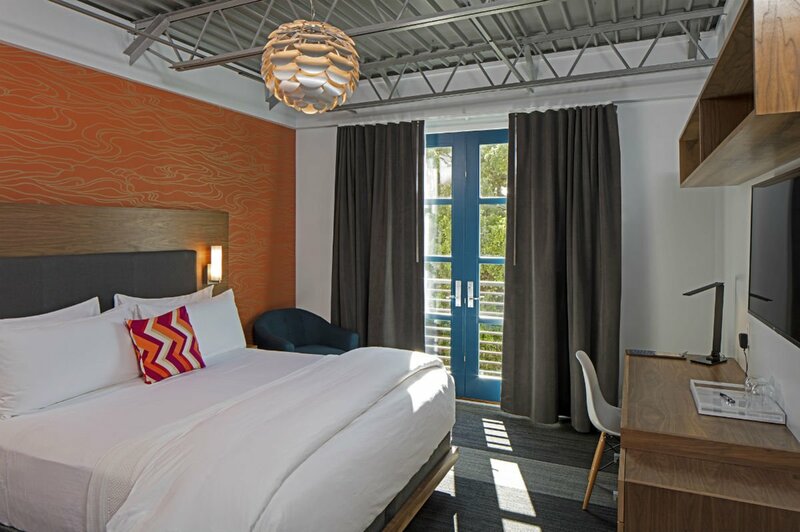 The hotel to know in the area is , a new, fourteen-room boutique hotel owned by husband-and-wife team Mark Vornberg and Shelly Leibham. Vornberg, a regarded Austin architect, designed every detail, while Shelly runs day-to-day operations, including caring for Louie, the neighborhood cat and namesake of the hotel bar, Louie’s Lounge. (In the interest of full disclosure, they are my clients, but this hotel is objectively great.) If you don’t meet Mark and Shelly at the front desk or welcoming guests at the bar, you might find them down the street at , a no-fuss, hole-in-the-wall, BYOB pizza place. 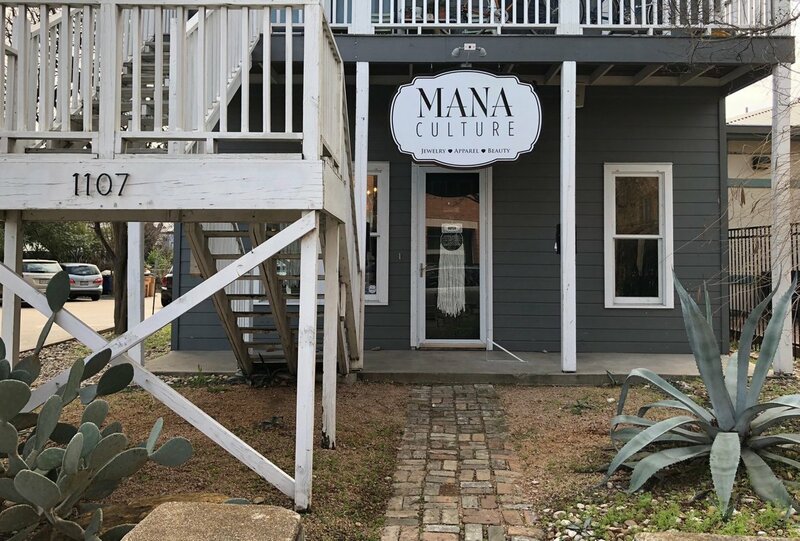 The dainty pieces at Mana Culture. Photo courtesy of Mana Culture. The charming bungalow. Photo courtesy of Mana Culture. Those who consider shopping a sport (guilty as charged) can flex their bank accounts at , a shop carrying the best-sourced vintage frocks and a selection of rocks and gems that are displayed with explanations of the stones’ benefits. , a women’s clothing boutique with interiors inspired by the colors of Mexico City, is filled with independent designers and cool accessories, including an eclectic selection of sunglasses. (In case anyone is reading this, I want that pair in red acrylic please please please.) 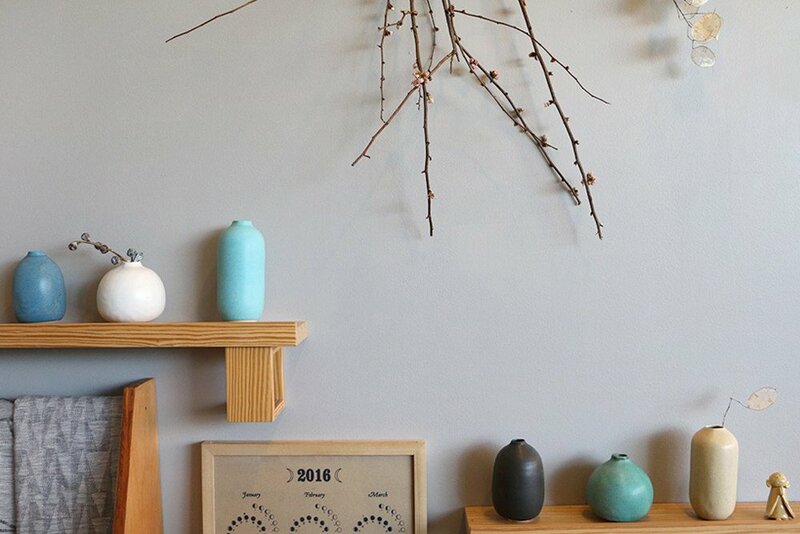 Around the corner are , where guys can have a beer while trying on handcrafted leather boots (and not the cowboy variety), and , a plant shop that offers terrarium classes. If the shopping is too much cardio, take a break and practice your poses at . 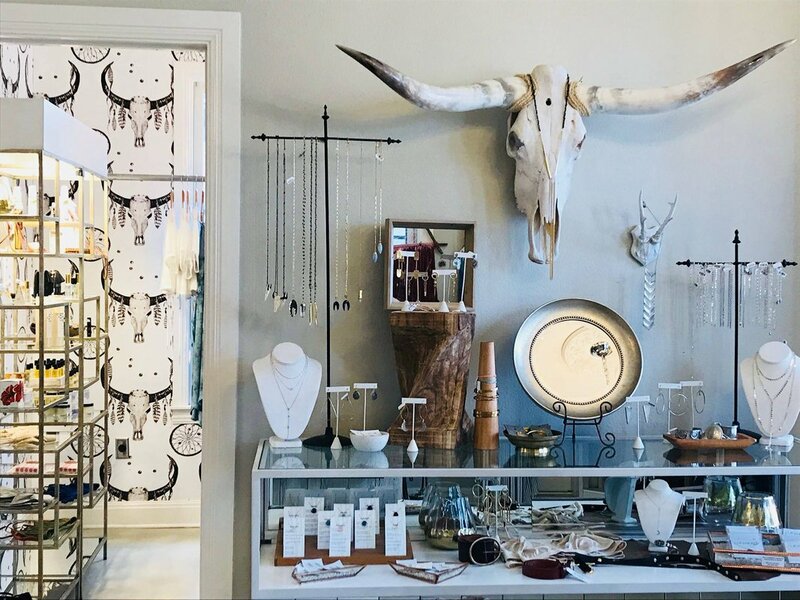 Then go back for more retail across the street at , a shop filled with joy — gifts, accessories, and art that you’ll never find on Amazon — thoughtfully edited by owner Nina Gordon. After shopping here, I vowed to never buy a gift from anyplace else, ever again. Until I walked into the two-story bungalow and met the adorable owner and jewelry designer, Jahnavi Sievert, whose sparkly, dainty pieces are at once subtle and stunning. Some have stones, other thin lines, and most have unusual shapes that will make people take a second look at the creations dangling from your ear. Perfectly mixed cocktail at Nickel City. Photo courtesy of Hunter Townsend. When it’s time for the essential end-of-day wind down, I like menu of cold beer and mixed drinks, along with the old-school pinball table. When I’m hungry, I head to the next door for wings by the pound, cheese fries, sliders, and the foot-long Coney dog for $5.86. On the same block is liquor store. Operated by twin brothers Harold and Howard Joseph (J and J) from 1968-2013, it was recently refreshed by new owners Rachel Lingval and Billy Benedict, who preserved the institution’s charming East 11th Street vibe — the wood floors, the old shotgun that Harold and Howard had “out back” which now hangs above the cash register, and a picture of the brothers’ hands in the back of the shop. Liquor selections are updated and bountiful. Darlene lives in Austin, Texas, where she owns , a PR firm, and works with a handful of clients that feed her travel, spa, food, art, and shopping addictions. She recently co-founded , a communications firm for wellness brands, and was named the Women in Wellness 2018 PR & Marketing Guru of the Year. You can follow her at @dfiske on and . She travels to escape from dirty dishes and the laundry — two things you NEVER have to worry about while traveling. В интеренете нашел авторитетный интернет-сайт , он рассказывает про http://1cs.com.ua.